There’s one thing I know for sure. Speakers are experts at getting in their own way. They create obstacles for themselves that make it even harder to earn a good living and become successful doing what they love. That’s why most of my coaching time isn’t spent telling speakers WHAT TO DO. I focus on telling them what to QUIT DOING. I help, convince, persuade, and encourage speakers to QUIT the attitudes, mindsets, and behaviors that DON’T work. Quitting always comes before genuine success. Might sound crazy, but that’s the focus of this book. In it you will be challenged to let go of misguided information, reassess the “shoulds” that you have been taught, rethink the way it’s always been done, defy the status quo, and eventually change those habits that don’t ultimately serve you, your career, your clients, or your audience. 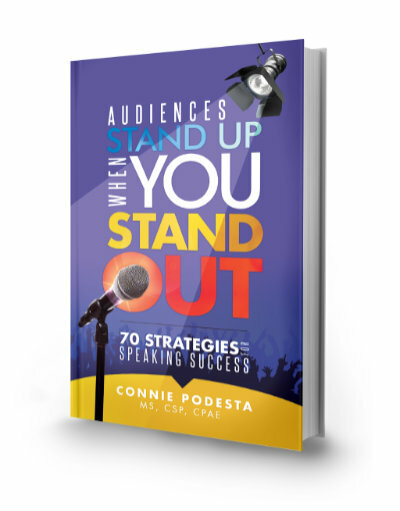 In this book, you’ll get a whopping list of 70 THINGS you need to QUIT RIGHT NOW if you are committed to reaching greater success as a speaker. To stand out. And provide compelling reasons for audiences to stand up, for event planners to hire you (and pay you more) and to put your career on the fast track for greatness.